A deal between YouTube and Warner Music Group to share music videos and revenue could usher in an era where the interests of content copyright holders and freebie-loving consumers align. Or it could wind up being just another stab at a business model for YouTube. The outcome will be determined by how the revenue between copyright holders and distributors like YouTube gets shared, say experts at Wharton. Creating a revenue sharing model that is satisfactory to all is easier said than done, these experts note. It’s a fundamental question: If “information wants to be free,” as many assert, how do you make money? 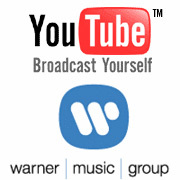 On Sept. 18, 2006, YouTube, the largest video sharing site on the web, and Warner Music Group announced a deal to distribute WMG’s music video catalog on YouTube. The catalog includes music videos, behind-the-scenes footage, artist interviews and other special content. In addition, YouTube’s bevy of amateur video producers can use WMG’s music library as soundtracks for the content they upload. As for copyright management, YouTube plans to build a content identification and royalty reporting system to identify video content — such as the most recent Madonna video — and divvy out payments to artists. The system, to be launched by the end of the year, will allow WMG to authorize rights to YouTube users. Advertising revenue will be shared between WMG and YouTube. While details about the WMG/YouTube deal aren’t fully fleshed out, some experts at Wharton are optimistic. Wharton marketing professor Peter Fader says YouTube’s latest partnership (it also has a promotional deal with NBC) is “the single biggest business development deal in the history of digital media. This changes everything, and people will look back at it as a turning point.” Wharton public policy professor Joel Waldfogel acknowledges that YouTube is “becoming more attractive to media partners as more people use it,” but cautions that the WMG deal is just a first step to discovering a business model. Media and entertainment expert Nelson Gayton, an adjunct professor at Wharton, says copyright concerns still linger over YouTube, while other industry watchers — notably Internet entrepreneur, industry commentator and Dallas Mavericks owner Mark Cuban — say YouTube could be crushed by copyright lawsuits because it largely distributes unlicensed content. The real fate of YouTube may lie somewhere between the predictions of Fader and Cuban. Supporters such as Fader say YouTube’s critical mass could force other content owners into similar partnerships, and he also believes YouTube could become the premier brand in video, much like Apple dominates music and Google is synonymous with search. But first, YouTube has to find a business model that appeases copyright holders and delivers strong revenue and profit growth. Waldfogel says it’s unclear whether YouTube can maintain its momentum. Like Cuban, Waldfogel notes that YouTube’s video content consists of “a lot of junk and stuff that’s stolen.” Meanwhile, YouTube doesn’t appear to have anything proprietary that would prevent consumers from going elsewhere. “The question I come back to is: Why would this business stick?” says Waldfogel. What remains to be seen is whether YouTube’s recent deal with Warner Music Group lays the groundwork for a media world where content is distributed without copyright worries. “The problem that YouTube and WMG tried to address is what to do with user-generated content that incorporates copyrighted material,” says Gayton. If, as Fader suggests, the YouTube/WMG arrangement becomes the template for future deals, it would have broad ramifications for digital distribution. However, other business models that borrow from a wide range of industries — including broadcast TV and radio — may form, says Fader. While Fader says more details need to emerge about the YouTube/WMG partnership, he outlined why the deal is significant. First, it’s symbolic. Bronfman is taking a totally different approach with YouTube than he has in the past. Bronfman was among the largest detractors of Napster when he was at Vivendi Universal. “Now he’s on the other side and leading the way with a proactive stance,” says Fader. Second, it’s a big shift. The fact that WMG gave YouTube access to its entire catalog means media companies are coming around to the idea that digital distribution and user-generated content can add value. Third, YouTube is creating a system to distribute revenue to copyright holders. “With this system it’s likely that everyone else follows suit,” says Fader. Gayton notes that some details — notably the tracking of copyrighted works — are going to be difficult to iron out. He zeroes in on the yet-to-be-built system YouTube claims it will create to track copyrighted works and share revenue with WMG. For instance, it is difficult to track the use of copyrighted material in user-generated content largely because it often isn’t “tagged,” or given searchable data (known as “metadata”) that can identify key characteristics of the content. “At some point all the digital tracks — music and otherwise — will have metadata that will be exposed in music players that ensure tracking ability. But right now, there are huge amounts of content that lack this metadata. The playback systems aren’t aligned to insure that only properly coded content runs. So YouTube can get legitimately sourced material and ensure it’s ‘tagged’ for downstream tracking, but a person who rips a CD or DVD from another pirated source or removes the coding can publish material and the systems really can’t track it,” Gayton notes. Underscoring the difficulty of identifying copyrighted content, on September 25, 2006, YouTube issued an update to its release about the WMG deal to clarify potential confusion caused by the original announcement. In the updated statement, YouTube says its forthcoming audio identification technology will guard against reposting works that have previously been removed by request of the content holder, rather than automatically identifying copyrighted material as it is posted, as many assumed. While Wharton experts acknowledge that the ultimate impact of the WMG deal with YouTube remains to be seen, most expect the web video giant to tinker with numerous business models. The big question is how likely is it that YouTube finds a business model that can balance the copyright concerns of all of the parties. Doubters such as Cuban note that YouTube’s potential business models may not matter because it will be forced to cut deals with numerous parties to pay royalties. Cuban argues that YouTube largely benefits by distributing content that is copyrighted. Although YouTube has fostered goodwill by removing potentially infringing videos at the request of their copyright owners, much of its success has come from pirated content. However, it only takes one lawsuit — and currently Universal Music has been an outspoken critic of YouTube — to derail the web video company’s business, says Cuban. While the company is currently defending itself in a copyright suit brought by a Los Angeles news service owned by Robert Tur regarding distribution of Tur’s footage of the beating of truck driver Reginald Denny during the 1992 L.A. riots, YouTube has thus far avoided lawsuits from the major media outlets. Meanwhile, Cuban says that once YouTube becomes profitable, or is acquired by a company that has cash, odds are strong it will be sued. The challenge for YouTube: Find a business model that can allay those copyright concerns and eventually bring companies like Universal into the fold. Fader, Gayton, Waldfogel and Whitehouse say numerous models are possible, including many that resemble typical broadcast deals. According to Fader, YouTube has the opportunity to find multiple business models even as it pays royalties to content providers. Among the possibilities: A radio-like model where YouTube pays royalties for content and relies on advertising, or keyword advertising linked to video categories and e-commerce referrals where YouTube points consumers to places to buy music and videos. Fader also wouldn’t rule out a subscription-based model for YouTube. Waldfogel suggests that a pay-per-view model, say 50 cents for popular home video, could emerge. “YouTube hasn’t tipped its hand much, but I hope they are contemplating many models and experimenting with more than one,” says Fader. In each of these business models, YouTube would have to share revenue with artists. The trick would be divvying out royalties effectively. The current state of content is one where copyright holders throughout the production and distribution chain take a cut. What has been difficult is sharing that money and finding a way to make copyright and content sync up with digital distribution. For instance, Napster’s first incarnation, which thumbed its nose at copyright law, allowed users to freely distribute music with no revenues flowing to anyone upstream. YouTube has been willing to work with copyright owners — and has removed items such as “Saturday Night Live” skits when requested by NBC, a stance that opens the possibility for more creative business models. While many business models could work for YouTube, copyright concerns linger. The primary challenge may be calculating how the money would be shared. For instance, how would the money flow between YouTube and the long chain of artists, publishers, and music companies behind a music video? Could there be a blanket agreement covering multiple content providers? Does everyone get the same cut? Gayton says the YouTube situation is similar to what happened in the 1990s with cable and satellite firms and broadcast networks. Those parties bickered over rights to carry broadcast networks, but eventually negotiated a broad copyright deal to allay concerns. “I think it’s probably going to take parties coming to the table, perhaps similar in a way to the copyright tribunals seen in cable and satellite during the ’90s,” says Gayton.